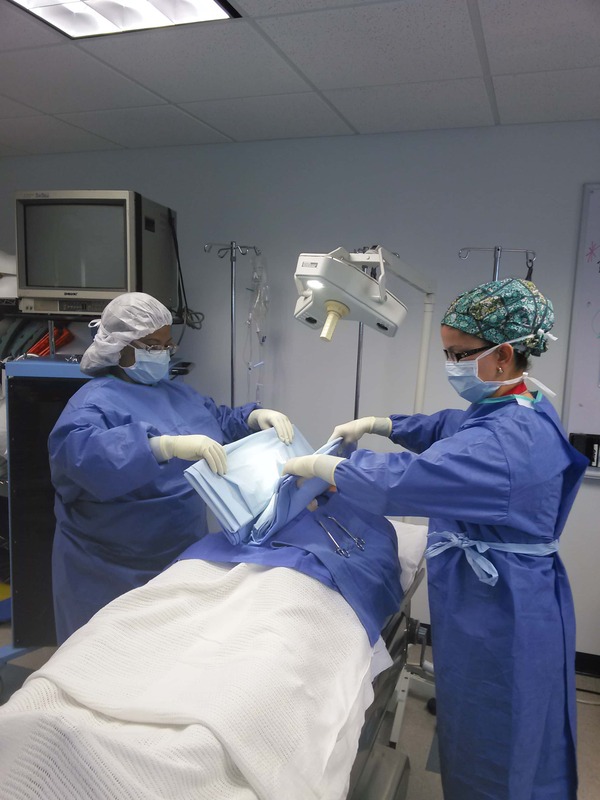 Students demonstrate knowledge of draping procedures in the lab/mock OR setting and during clinical rotations. The primary purpose of draping the surgical patient is to isolate the surgical site from the other areas of the patient’s body and nonsterile areas of the OR table in order to contribute to reducing the risk of surgical site infection (SSI) The drapes serve as a barrier to endogenous and exogenous sources of contamination, in particular endogenous contamination (patient’s skin flora as the source), which is identified as a major source of SSI. Drapes must be properly sterilized, once the drape is position it must not be moved, must be free of holes, tears and drapes should be impervious and fluid-resistant to prevent strike – through contamination from microorganisms.